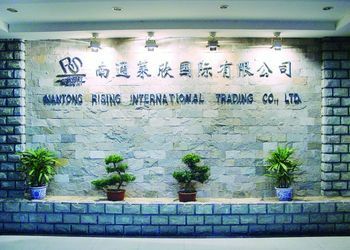 Nantong Rising International Co., Ltd. is located in Nantong city, Jiangsu province in 2005. We specialize in manufacturing and trading of home textiles and hotel ware. Our company can create all kinds of high-grade beddings, robes, towels, linen and other coverings for hotels, guesthouses, schools, and families. Our new product models, with a great variety, full specifications, and superior quality can meet the needs of all customers. Our team with a broad diversity of background and professional expertise across the world---all bound by a shared ambition for providing the best customized products to our customers. The members of Rising are what makes us strong.Our management team supporting units,sales consultants,R&D experts and workers all play a critical role in Rising and contribute to its success.